On May 17th, Montreal celebrated its 375th birthday with an incredible light show on the Jacques Cartier Bridge. The $39.5 million project has been extremely controversial, along with the rest of the 375th activities. Many believe that it is money wasted, when it could have been invested into fixing problems with the city (like potholes, for example), while others believe it to be an investment that will bring us more tourism. Whatever your opinion on the matter, it’s hard not to admit that it all looked spectacular. Last Wednesday, the bridge lit up with a multisensory light show to the symphony of Gustav Mahler. The rainbow coloured bridge was a delight, and Moment Factory did an incredible job. And of course, there’s no party without fireworks! The steep cost of the show covers the next 10 years of maintenance, as it will be lighting up every night for that period of time. 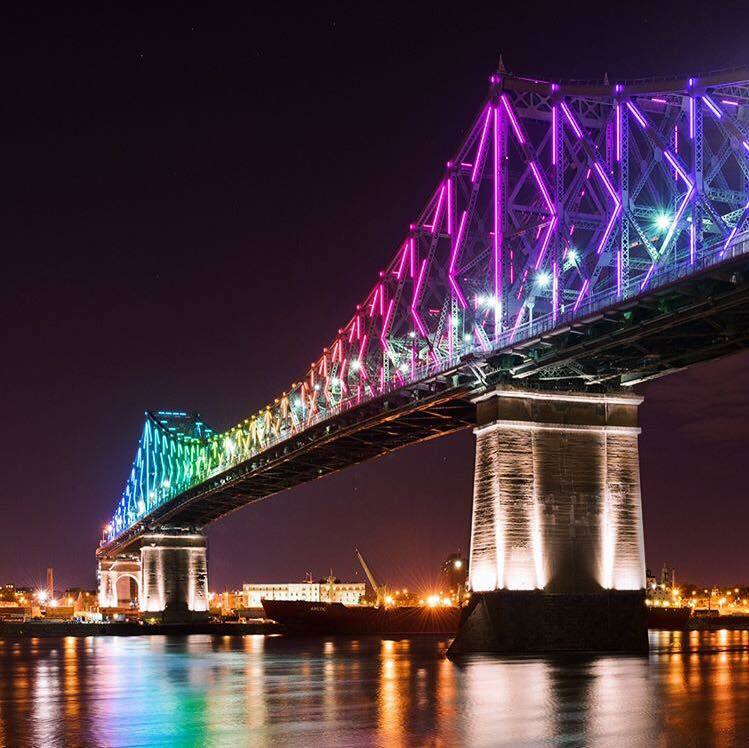 There will not be music every night however, but instead, it will be “a barometer of Montreal’s life and energy,” according to Jacques Cartier and Champlain Bridges Inc. The lights will reflect social media activity about the city, the flow of traffic, and even the weather. Coderre calls it Montreal’s new “signature” attraction. 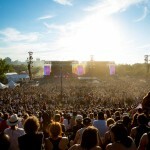 Hate it or love it, we have to give props to the talented Montrealers who took incredible photos of the show. We’ve chosen our favourite 10 pictures. So if you missed the visual dream, at least you can check these out. Vincent Brillant is one of our favourite Instagrammers. Check out his Instagram page and his website to see his work. Another talented photog. Check out Simon Lachapelle on Instagram and Facebook. Dominick Gravel is the official photographer of the Alouettes. Check him out on Instagram and on his webpage. Meng Jia is a landscape, cityscape, and night photographer. Check him out on Instagram and on his website. Julian Garofalo is a photographer and director. Check him out on Instagram and on his website. Loïc Romer shows us photography in motion! Check him out on Instagram and on his website. Annie Couture is an urban and travel photographer. Check her out on Instagram. Felix Bouchard Tremblay is a photographer and guitarist. Double whammy. Check him out on Instagram. Etienne Masse is a self-proclaimed wannabe photographer (but we think he’s doing a bang-up job). Check him out on Instagram and Flickr. 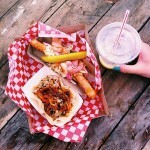 Last but not least, check out urban photographer Jycelin Laliberté’s Instagram and website.